From the New York Times bestselling author of Irena’s Children comes a comprehensive and riveting biography of the extraordinary life and times of Eliza Hamilton, the wife of founding father Alexander Hamilton, and a powerful, unsung hero in America’s early days. Fans fell in love with Eliza Hamilton—Alexander Hamilton’s devoted wife—in Lin-Manuel Miranda’s phenomenal musical Hamilton. But they don’t know her full story. A strong pioneer woman, a loving sister, a caring mother, and in her later years, a generous philanthropist, Eliza had many sides—and this fascinating biography brings her multi-faceted personality to vivid life. Eliza Hamilton: The Extraordinary Life and Times of The Wife of Alexander Hamilton follows Eliza through her early years in New York, into the ups and downs of her married life with Alexander, beyond the aftermath of his tragic murder, and finally to her involvement in many projects that cemented her legacy as one of the unsung heroes of our nation’s early days. Featuring Mazzeo’s “impeccable research and crafting” (Library Journal), and perfect for fans of the richly detailed historical books by Ron Chernow and Erik Larson, Eliza Hamilton is the captivating account of the woman behind the famous man. This reading group guide for Eliza Hamilton includes an introduction, discussion questions, and ideas for enhancing your book club. The suggested questions are intended to help your reading group find new and interesting angles and topics for your discussion. We hope that these ideas will enrich your conversation and increase your enjoyment of the book. Eliza Hamilton was much more than Founding Father Alexander Hamilton’s devoted wife. In Alexander’s last letter to Eliza, he called her “the best of wives, the best of women.” She was a strong pioneer woman, a loving sister, a caring mother, and in her later years, a savvy businesswoman. In this fascinating biography, award-winning author Tilar J. Mazzeo reveals the many sides of one of America’s Founding Mothers. Eliza Hamilton: The Extraordinary Life and Times of the Wife of Alexander Hamilton follows Eliza through her early years, to the ups and downs of her married life and the aftermath of Alexander’s tragic murder, to her involvement in many projects that cemented her legacy as one of the unsung heroes of our nation’s early days. This is her story. 1. Reflect on the Germaine de Staël quotation that opens this biography: “Love is the whole history of a woman’s life; it is an episode in a man’s.” Madame de Staël was a celebrated French writer and intellectual whose work often touched on the status of women in Revolution-era France. Discuss this quotation as it relates not only to Eliza Hamilton’s life but also to the status of women during her lifetime. 2. Thomas Jefferson outlines how his eleven-year-old daughter, Polly, should “distribute” her time (page 20). The list closely resembles the expectations that fell on young Eliza as well. Knowing Eliza’s entrepreneurial strengths (and affinities), discuss how these restrictive expectations of “elite” colonial girls shaped Eliza’s early life and sense of self. What expectations were especially formative for you as a child and teenager, and what did you rail against? 3. Did it surprise you to learn that Eliza owned slaves despite being pro-abolition? How do you suppose she was able to reconcile those conflicting ideas? 4. In the early days of their courtship, Alexander wrote to Eliza in a letter: “Nature has been very kind to you; do not neglect to cultivate her gifts and to enable yourself to make the distinguished figure in all respects to which you are intitled to aspire” (page 79). This tactless piece of advice tapped into what author Tilar Mazzeo calls Eliza’s “greatest insecurity . . . [t]hat she was dull and stupid” (pages 79–80). How did you react to Alexander’s tone-deaf suggestion that Eliza undertake intellectual self-improvements? More broadly, how did you react to Alexander’s often “swaggering way” (page 137) in general? 5. The level of public scrutiny that Eliza endures during Alexander’s meteoric political rise rivals that of modern-day celebrities. Did that surprise you? Why or why not? 6. Describe—and react to—Mazzeo’s characterization of George and Martha Washington. How does their relationship with Eliza and Alexander align with or diverge from your preexisting ideas of these historical figures? 7. Mazzeo offers a new perspective on Alexander Hamilton’s infamous affair with Maria Reynolds than previous biographers. Her extensive research suggests that it was actually a cover-up for bad financial dealings, and that Eliza was in on it. Was this revelation a shock to you? Does this new take on the affair change your impression of Eliza? 8. Were you surprised by the muckraking that defined the political landscape of Revolution-era America? How does it compare to the role of political journalism in America today? 9. Eliza’s sister Angelica has a tumultuous relationship with the Schuyler family, largely due to her choice of husband. Discuss the sisters’ close relationship, as well as the way in which Angelica’s marriage shapes the trajectory of her life. 10. Consider the portrait of American society in its infancy. As Mazzeo describes: “Philadelphia was the second-largest city in the nation, although its population was under thirty thousand. By modern standards, everything in America in the 1790s had a small-town feeling. Visitors to American cities remarked with astonishment on the feral pigs that ran wild in the streets” (page 148). 11. Discuss the pattern that comes to define Alexander and Eliza’s marriage: “At a distance, they faltered. In crisis, they turned to each other” (page 225). Moments of hardship seemed to strengthen their bond over the course of their relationship. What are the moments of adversity and resilience that stood out to you most, and why? 12. Alexander asks Eliza to embody the ideal of a “Roman wife”—a partner fully prepared for the “self-sacrifice and loyalty that building a republic would require” (page 171). Do you believe that this gave Eliza a sense of purpose, or conversely, imposed on her an unfair burden? 13. Eliza’s life is defined by the roles assigned to her by others—Alexander needs her to be his “Roman wife”; her peers expect a gracious socialite; her family demands political engagement as the American republic takes form; her children require a doting mother. Based on her own letters and the choices she makes for herself following Alexander’s death, what do you sense Eliza wanted most for herself? 14. After Alexander’s life is cut short by the infamous duel with Aaron Burr, Eliza is left to tell his story. How did you react to her decision to burn so many of her own letters (pages 262–263)? Discuss Eliza’s role as Alexander’s biographer. 15. 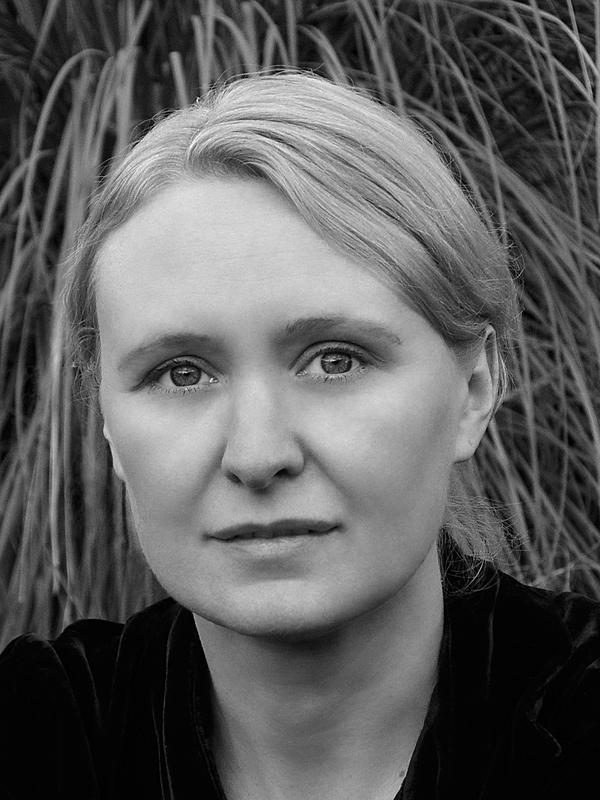 Eliza dedicates her life to a series of significant undertakings in the (nearly fifty!) years following Alexander’s death, from her work to preserve Alexander’s legacy to serving as director of the first public orphanage in New York. What surprised—or impressed—you most about her life’s work after her husband’s death? 1. Play the soundtrack to Lin-Manuel Miranda’s smash-hit musical Hamilton and engage in lyrical analysis. Dissect Eliza’s and Angelica’s songs, especially; how does Mazzeo’s depiction of these women depart from Miranda’s portrayal? 2. Engage in some speculation: If Eliza Hamilton were born in the twenty-first century, what do you think she would take on as a career? If Alexander Hamilton were a modern-day politician, with which party do you think he would align himself? Reimagine the central characters of this biography as twenty-first-century figures. 3. Watch the film The Last of the Mohicans with your book club. Knowing that it is a romanticized version of the world in which Eliza grew up and came of age, talk about your impressions of the film as you discuss this biography. Can you envision a young Eliza in the context of this film? 4. Select the subject of Tilar Mazzeo’s next biography! Identify another female figure from our nation’s early history who you’re curious to learn more about, and discuss why. 5. Revisit Mazzeo’s author’s note in the back of this book. She mounts significant historical evidence to support her new take on the infamous Reynolds affair. Dissect the pieces of evidence that you find most compelling, and identify any gaps that you think still leave room for speculation. Does your book club have any alternate readings to propose? Tilar J. Mazzeo is the New York Times and San Francisco Chronicle bestselling author of books that include The Widow Clicquot, The Secret of Chanel No. 5, and Hotel on the Place Vendôme. She also writes on food and wine for the mainstream press, and her work has appeared in venues such as Food & Wine and in her Back-Lane Wineries guidebook series (Ten Speed Press). Her course on creative nonfiction (Great Courses), featured as in-flight viewing content on Virgin America airlines, is widely distributed and has made her a nationally prominent teacher of writing in nonfiction genres. The Clara C. Piper Associate Professor of English at Colby College, she divides her time among coastal Maine, New York City, and Saanichton, British Columbia, where she lives with her husband and stepchildren. 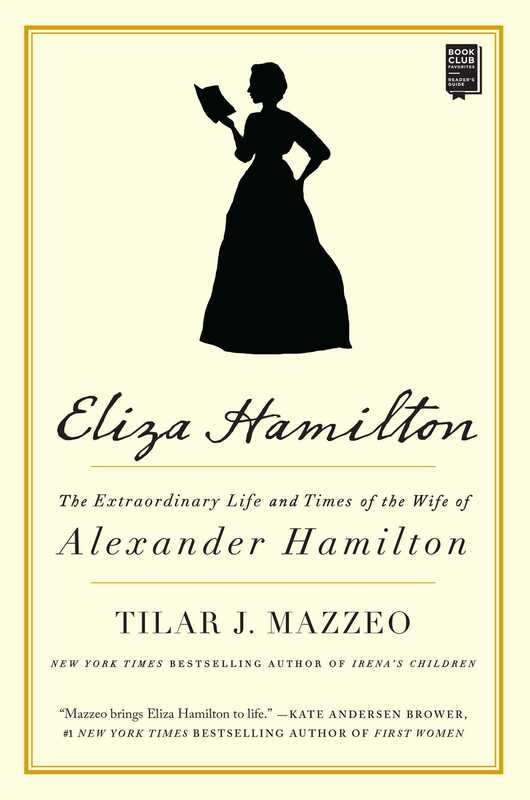 "Tilar Mazzeo brings Eliza Hamilton to life in this first ever comprehensive biography of a woman who is known solely for the man she married but whose courage and generosity are revealed here. Fast-paced and reads like a novel." "Mazzeo's Eliza appears stoic, loyal, and canny." "Tilar Mazzeo has given us the profound gift of getting to know more fully the extraordinary woman whose legacy we are honored to carry forward today. Eliza Hamilton inspires!"